November 11, 2011 marks a special day for the Niemann-Pick Children’s Fund. 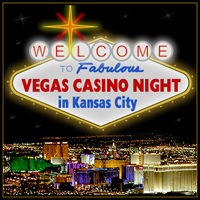 It will host the “Vegas in Kansas City Casino Night” from 7-11 pm at the Hilliard Gallery in downtown Kansas City. Will you be there to show your support? The money raised from the Casino Night will help further the fight against a horrible fatal disease called Niemann-Pick Type C. NPC is the cells inability to metabolize cholesterol that stores fatty lipids in the brain, liver, spleen, and bone marrow causing a domino effect of neurological problems that lead ultimately to their untimely death. No cure. It’s a 100% FATAL. With less than 50-75 cases currently in the United States, statistics state that there has only been 500 cases diagnosed worldwide EVER! The importance of educating and creating awareness as much as possible is the insight it can bring to more common disorders like Stroke, Adult Onset Alzheimer’s, Atherosclerosis, and even HIV/Aids. Each of these disorders has a problem with cholesterol. We all know someone that has been affected by this haven’t you? Tickets are for sell online at www.NPCFund.org/VegasNight. We have several options. General admission is $25. You get entry into the fundraiser, 1 drink ticket, 1 raffle ticket, and a 5,000 chip voucher to start having fun! Tickets and sponsorships go up to $250 with different options. [hr] Niemann-Pick Children’s Fund Inc. is a Missouri 501(c)3 non-profit EIN 80-0317862. Your donations are tax deductible under the IRS tax code. Please consult with a tax preparer to determine the eligibility.